The first step towards a healthy life is to schedule an appointment. Please contact our office by phone or complete the form. Welcome to The Exeter Clinic. We’re glad you’re placing your foot health concerns in our skilled hands. We deliver the best possible podiatry healthcare to all of our patients. Of course, we always compliment our services with a customer service oriented approach. Let our team help you back to comfort, strength and mobility with cutting edge technologies and treatments. Our Podiatrists are experts in their field and come with the reassurance of being HCPC registered. Disabled access – Ground floor wide door access with no steps. Ground floor disabled WC. Ground floor easy access clinic rooms. Easy online booking – access the clinic diary for non-emergency appointments. 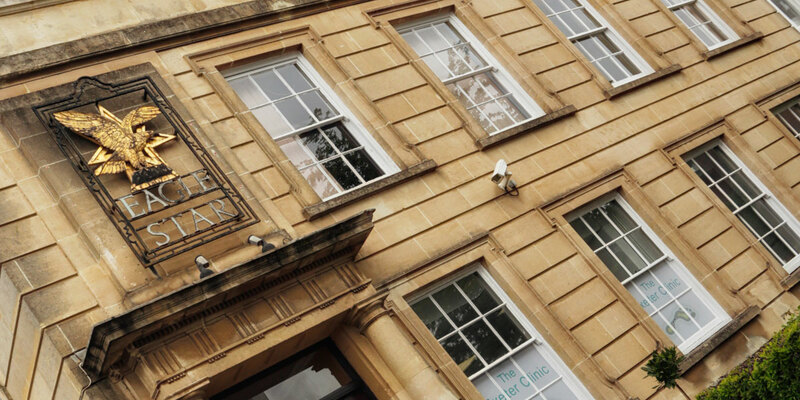 Easy parking – FREE onsite parking with overflow using nearby 2hr roadside free parking, paid parking at Bystock Terrace car park and Isca (Total car parks) on Queen Street. 2 minute walk from Clock Tower bus stops (Queen Street and New North Rd). or fill in our booking form now. Painful, embarrassing, unsightly and infectious. Difficult to manage verrucae can now be treated with greater success using the new ‘Swift’ system. Let us help you today. Don’t live your life in misery with painful, swollen, throbbing ingrown toenails. Don’t restrict your footwear choices because of this painful condition. There is a quick and easy permanent solution for your troublesome nails. Unsightly, discoloured, thickened, difficult to manage nails? Don’t let these nails ruin your day or stop you wearing sandals. No need to cover them with polish, contact us today to see how we can help. As well as gently removing corns and callus to help get you back on track, we specialise in joint, muscle, tendon and ligament pain, sports injuries, prehab, rehab, biomechanical assessments and video gait analysis. 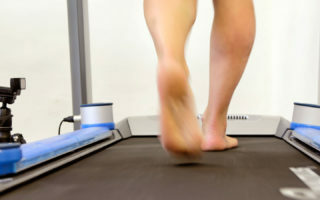 We provide orthotic therapy, radial shockwave therapy and footwear guidance. 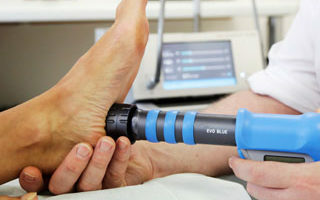 Radial Shockwave Therapy is offered to patients with Achilles Tendinopathy, Plantar Fasciitis, Medical Tibial Stress Syndrome and Patella Tip Syndrome. It is a non-invasive treatment that is carried out on an outpatient basis, meaning that you do not have to stay overnight in hospital and can go home the same day. RSWT can offer relief from pain and other symptoms. 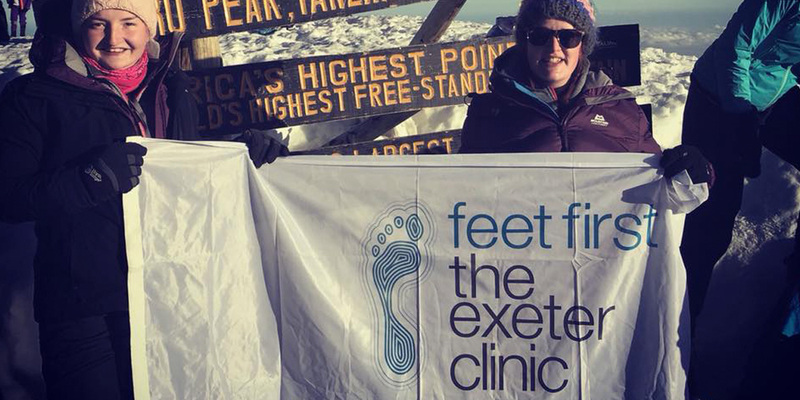 “I started going to The Exeter Clinic in December 2017 with a severe case of plantar fasciitis. I had been off work for 5 months and using a walking aid – not a good look for a 30 year old man! David replied to my email on a weekend and got me into treatment within a week – considering it was Christmas week I was impressed! The plantar fasciitis was a knock on condition of Ankylosing Spondylitis, so I was a difficult case. We agreed a treatment plan and during my sessions I was seen by Angela, Martyn and David. Each provided exceptional care, listening carefully to what I needed. Due to my spinal condition they had to work at unusual angles and work to my schedule. Over 3 months my pain levels have dropped from bed bound to being able to walk with relative ease and start enjoying my life again. The treatment of Exeter Clinic has also enabled me to return to full time work. 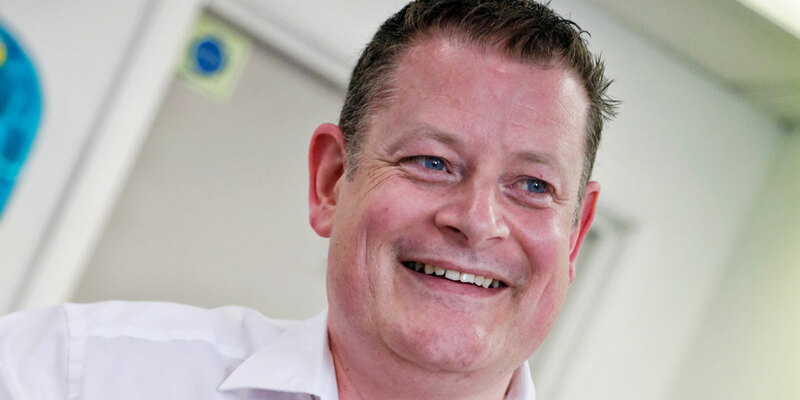 “Simply the best podiatrists I have ever been to. 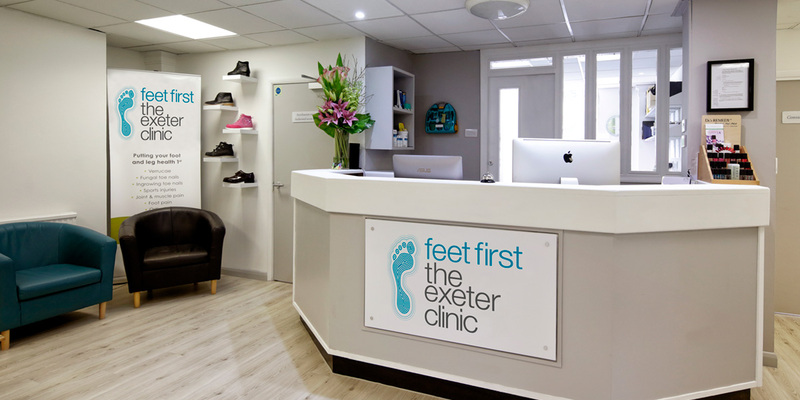 From the moment you step in you receive an extremely warm welcome, their podiatrists are very knowledgeable and will go through all the different treatment options that would suit you. I had an ingrowing toenail for many years and it was affecting me in all aspects of my life and work, I had been to other podiatrists where they attempted to help with the ingrowing toenail, but I had to constantly revisit them because the problem kept coming back. I came here after years of problems and they immediately told me that I needed toenail surgery if I didn’t want to keep on having the same recurring issue. I had the surgery and it was done onsite. The procedure did not take long and it was done cleanly, the aftercare was also impressive I was checked a few days after and then 6 weeks after the procedure with no problems at all. They simply cover every aspect of your foot health and will give you the best advice out there.